Founded in Hong Kong in 1973, On Tung Jewellery has become synonymous with fine Burmese jadeite. On Tung is one of the leading jadeite wholesalers worldwide and has the largest fine jadeite collection among wholesalers and retailers. 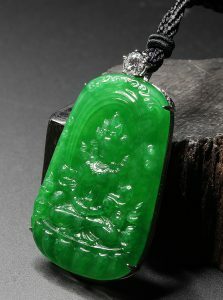 It is also one of the most important top quality rough jade buyers in Myanmar over the past 30 years. With extensive experience in jade sourcing, a renowned Chinese and European design team and the best craftsmanship in the industry, each On Tung jewellery piece is a masterpiece. On Tung’s clients are worldwide. Leading auction companies and museums have presented On Tung pieces all over world since the 1980s.